Every blogger should share their posts to get traffic from social networking sites like Google+, Facebook and Twitter. Sharing your content on many sites may take some time and there is no way to share posts automatically. We can do with some web tools like Dlvr.it to share posts automatically on the web. 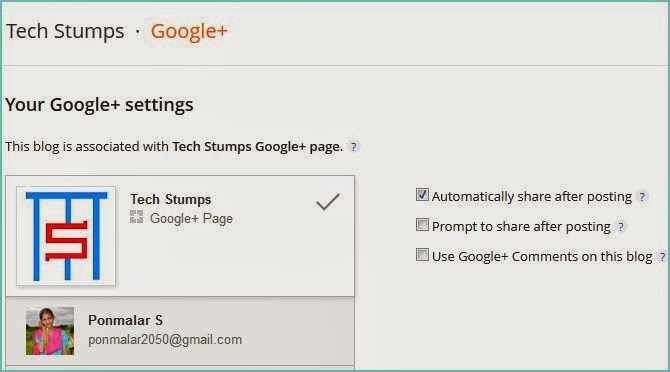 Now Blogger introduced a new feature that allows you to share blog posts automatically to Google+. 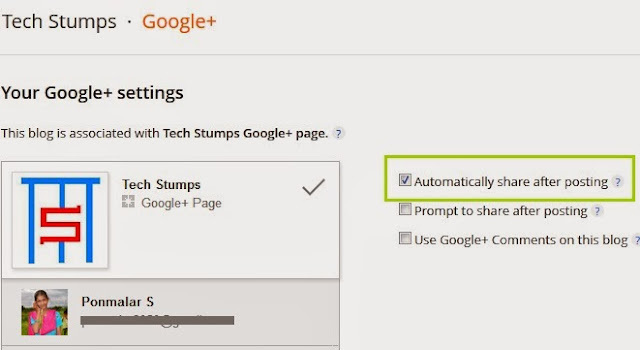 With this feature your blog posts will be shared automatically on Google Plus when you publish the new post. 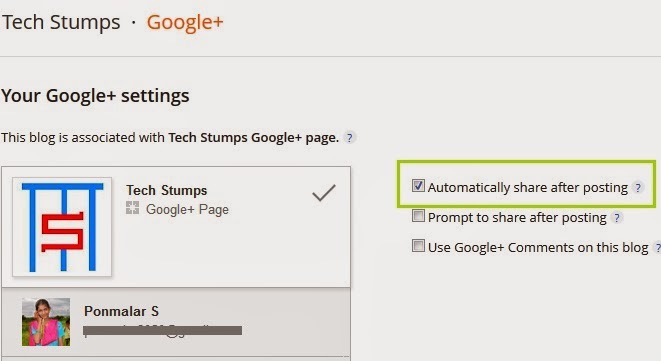 You can choose your Google Plus profile or Page and this process does not require any additional clicks. Also if you have enabled Google+ comments, any replies and comments on Google+ will also display on your blog. This new feature will be available only for all those who connected a Google+ page or profile to their blog. If you have not enabled Google+ profile, click on “Blogger Dashboard -> Google+ tab -> Get Started -> Switch Now”. Now your blogger profile will be changed to Google+ profile. • Click on the Google+ tab on the left panel. • You will see your Google+ profile and pages. Choose where your posts will be shared automatically. • Tick the check box on “Automatically share after posting”. That’s it. If you don’t like this automatic sharing feature, you can disable by tick the check box “Prompt to share after posting”. This feature will start working the next time you publish the post.